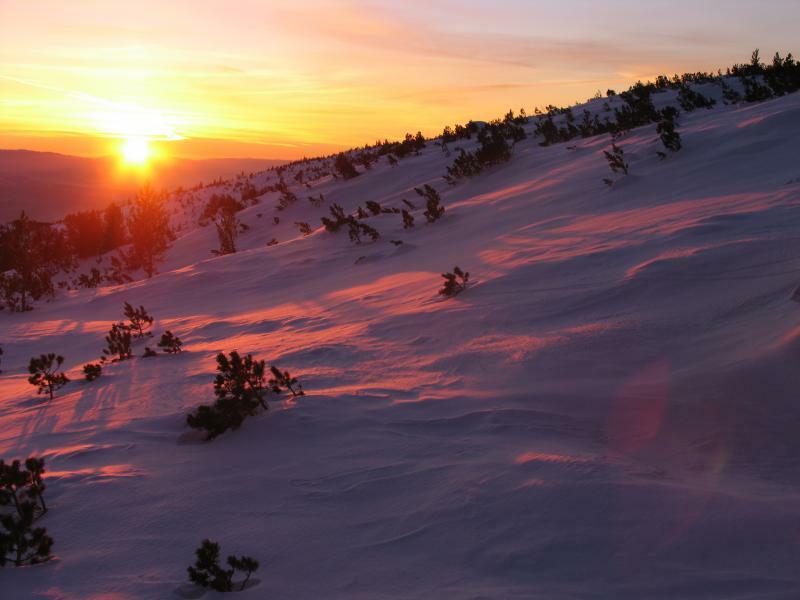 In order to reveal you the cold beauty of Rila’s most renowned regions we introduce you a 3-day snowshoeing itinerary designed to show you the mountain’s highlights – the highest peak Musala, the iconic Maliovitsa Valley often defined as the “cradle of Bulgarian alpinism” and the Rila Lakes district. 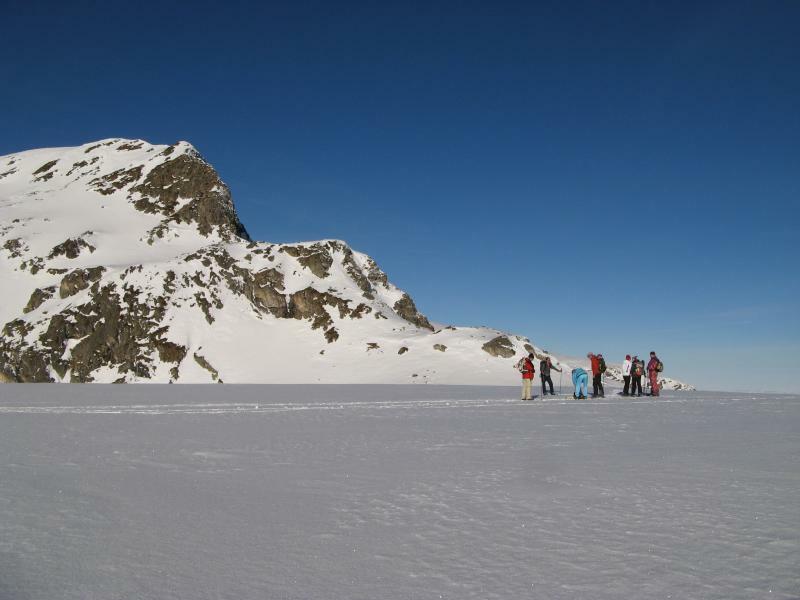 The route does not require specific mountaineering techniques but being in good shape and having a previous trekking experience is highly recommended in order to enjoy the mountain to the maximum. 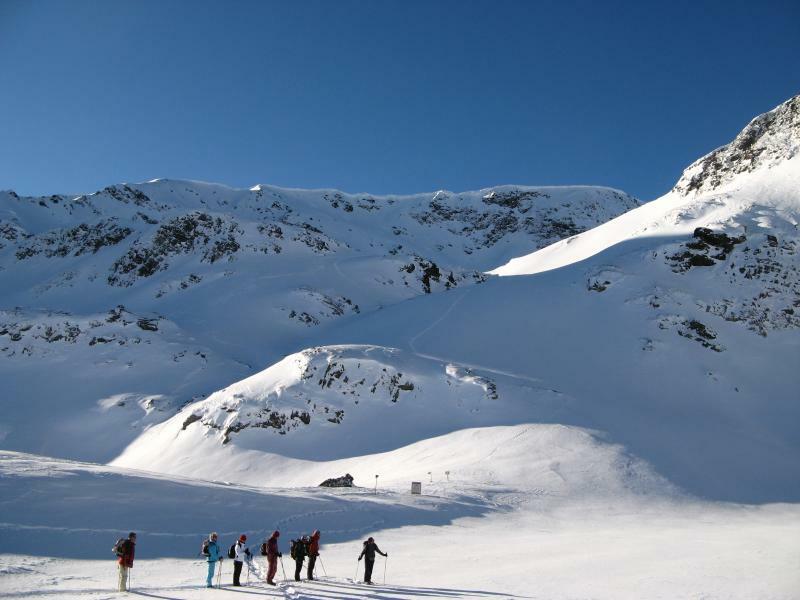 As the weather conditions during the winter are changing fast and are hard to predict much in advance, have in mind that the itinerary is subject to changes depending on the weather, the snow conditions and the capability of the group participants. 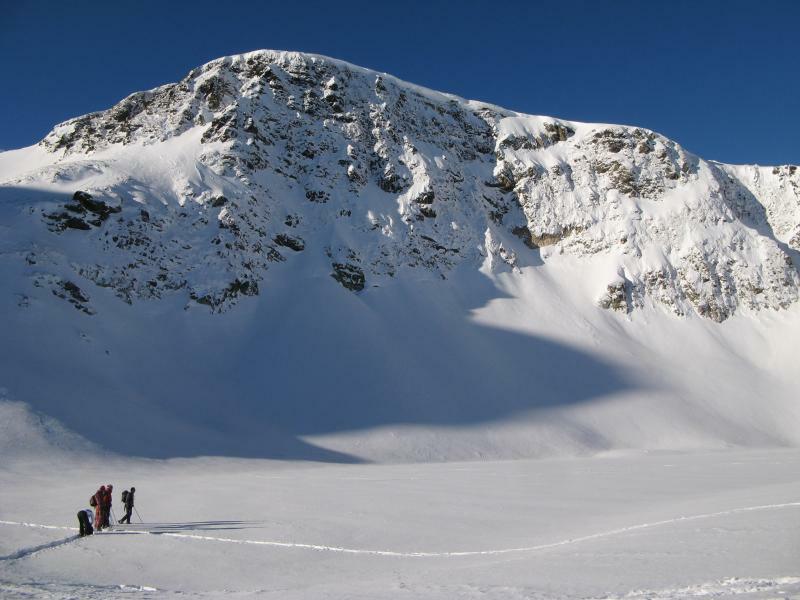 Today we climb the highest peak in Bulgaria and on the Balkan Peninsula – Musala (2925 m a.s.l.). Short transfer brings us to Borovets ski resort, where we take the lift to Yastrebets Peak (2369 m a.s.l.). The view from the top is truly breath-taking – you can make out the remaining peaks of Rila Mountains; the marble edges of the Pirin Mountains; Mount Vitosha and the Sredna Gora Mountains; the green summits of the Rodopi Mountains; and last, but not least, the long body of the Balkan range. 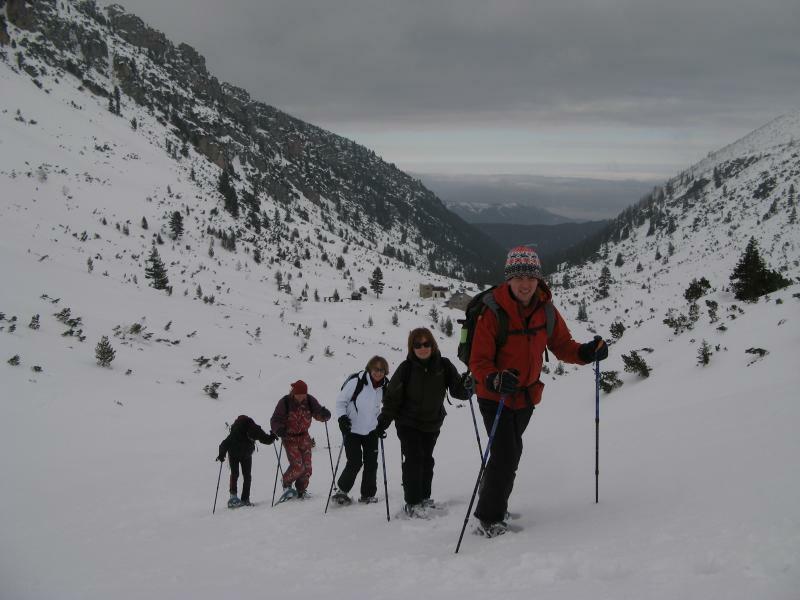 A day dedicated to snowshoeing in the region of Maliovitsa Valley. Passing by Maliovitsa hut (1950m), we continue further on to Maliovitsa Peak (2729m). Then we descend back to Maliovitsa Mountain Base and transfer back to the hotel. (*Reaching the top is only possible in good weather and stable snow. Otherwise we will stick to the lower parts of the mountain). We start walking from Pionerska hut towards Skakavitsa waterfall, exploring on our way Skakavitsa nature reserve. 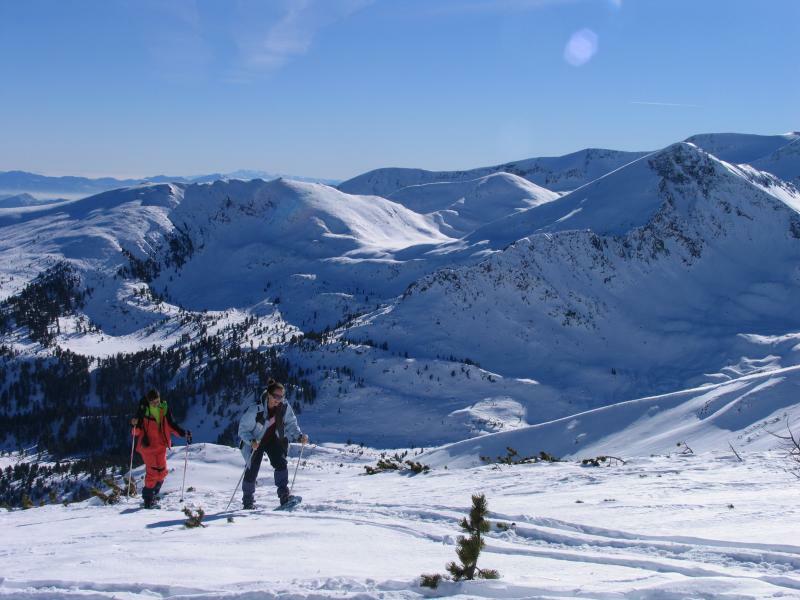 After enjoying the frozen waters of the highest waterfall of the mountain, we continue in the direction of the renowned Seven Rila Lakes – probably the most famous area in the Rila Mountains. Once reaching the 5th lake (The Kidney), we start descending heading towards the Rila Lakes hut (2150m) where we can stop for a tea break and continue finishing our loop route at Pionerska Hut where a transfer brings us back to Sofia. Necessary equipment: daypack (20-40 l); winter walking waterproof boots (hard-soled); gloves/mittens; sunscreen lotion; sunglasses with UV protection; For the full list with recommended items see the detailed trip dossier.